GREENSBORO, N.C., USA, September 4, 2018– Season three of “FarmHer on RFD-TV” starts Friday, with Syngenta U.S. returning as the presenting sponsor. Syngenta has been the presenting sponsor since the inaugural season of the award-winning show. For two seasons, viewers have had the opportunity to meet women from across the country and learn about each of their unique contributions to the agriculture industry. The third season will be no different. Marji Guyler-Alaniz, the show’s host and founder of the FarmHer movement, has now visited more than 50 farms, ranches and agricultural labs. 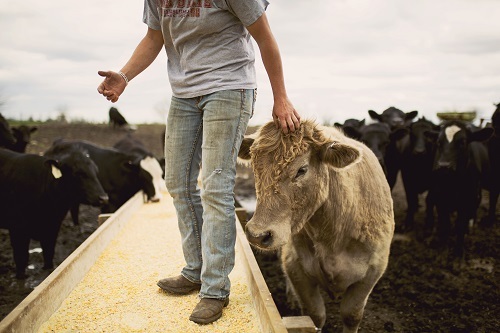 Through photography, video and interviews, she has given viewers a glimpse into the lives of some of the women who make up more than 30 percent of the farming workforce. The Syngenta #RootedinAg Spotlight segment will also be returning in season three, with a focus on the next generation of FarmHers. This summer, young women were asked to submit videos telling how they are #RootedinAg. The top videos will air throughout the season during the Syngenta in-show segment. “FarmHer on RFD-TV” returns Sept. 7, with episode premieres airing Fridays at 9:30 p.m. Eastern time. For more information, please visit RFDTV.com. Viewers should check their local listings to find RFD-TV in their area. For more information about the Syngenta sponsorship, please visit www.syngentathrive.com. Founded in 2013 to update the image of agriculture to include women through imagery, FarmHer has become a multi-faceted source of inspiration and connection for women in all types of agriculture. FarmHer images are shared through social and traditional media, updating the image of a farmer and rancher to include the women who have always been imperative to growing food and fiber. FarmHer is also an online community for women in agriculture – both professionals and producers – to connect women in a safe and private online environment. Additionally, FarmHer includes a clothing line that showcases who these women are and tells the world what they love. See more and follow the journey at farmher.com.